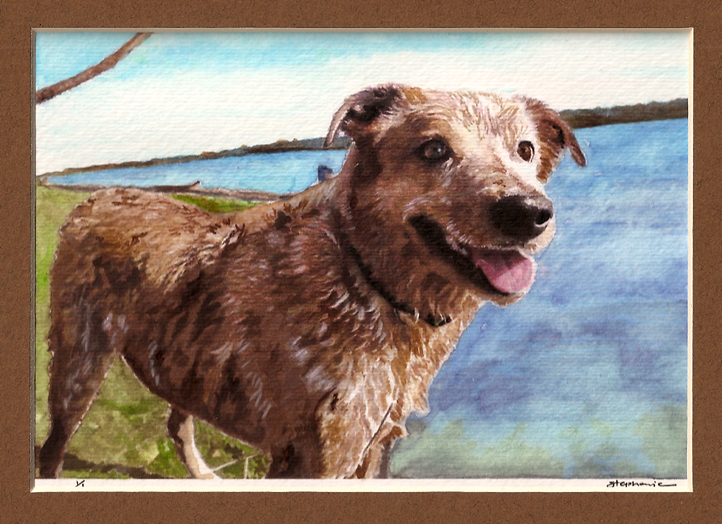 Patch’s Animal Print request came from a dear friend Penny. We met in NYC years ago, but soon learned we’d both been in the same two Texas counties about the same time, years earlier. 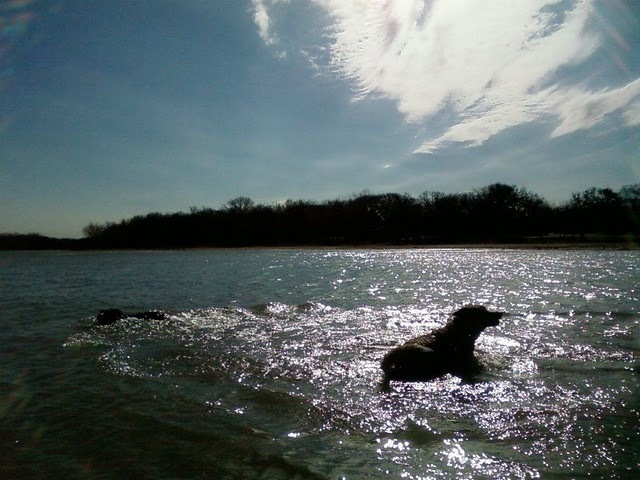 As fate would have it, we both found ourselves back in Texas a few summers ago. It was a grand, fun time. 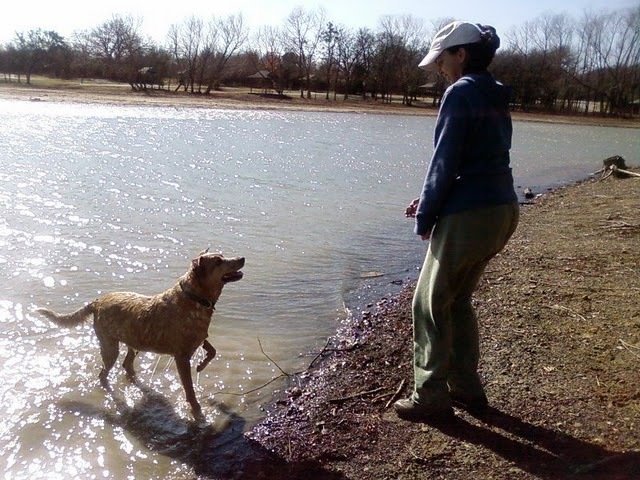 She lived in far South Grand Prairie, and Gadora looked forward to our stolen moments with great food, fine wine, good gab and lots of snuggling pups. Then, Penny rescued two more. It was a happy, busy house. Here’s Patch with her Mama, Sherry. 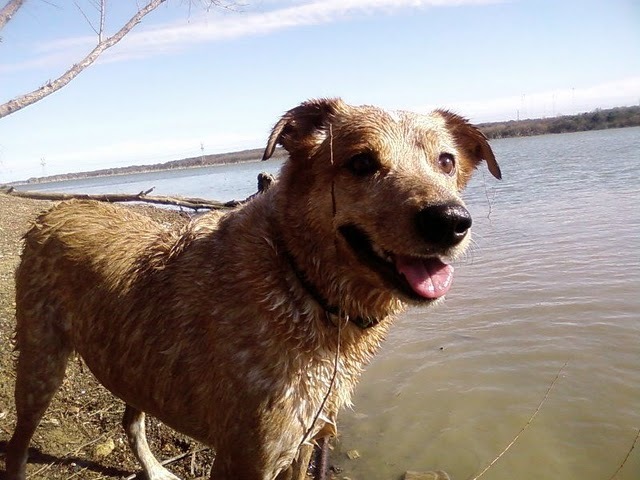 The pooch loves her water time and the DFW area provides sweet spots to get her swim on. Patch in the setting sun. The original photo Gadora worked with was a wee washed out, but a little added color gives the finished Animal Print a lot of personality… as if Patch needed it! Posted on February 15, 2010 February 15, 2010 by gadorawilderPosted in ANIMAL PRINTSTagged animal print, water color.